Imports and exports are one of the main aspects of an economy as it determines the volume of foreign exchange earnings. While we discuss the movement of goods, we should also focus on goods being moved in the process of importation and exportation and the e-way bill requirement for the same. E-way bill is mandatory for inter-state movement of goods of value above Rs 50,000 and for all intra-state movements with further relaxations. What does the term import and export include under the GST Act? What is the applicability of e-way bill on import and export transactions? Is e-way bill required for high sea sales? 1. What does the term import and export include under the GST Act? 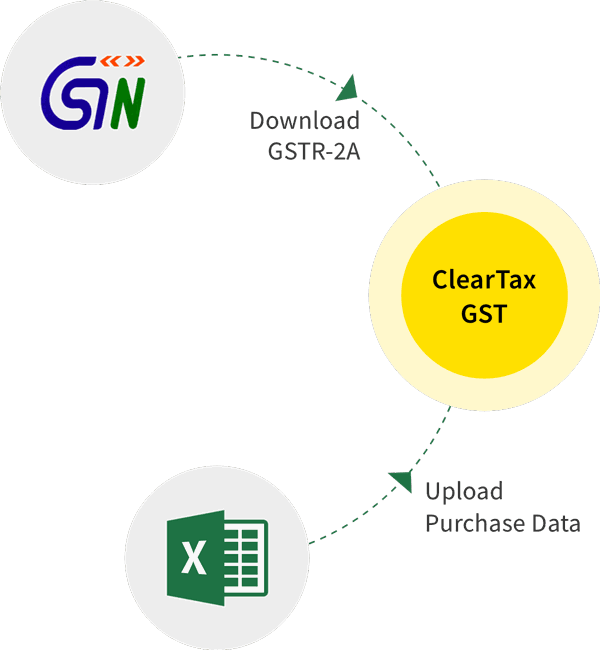 As per the GST Act, import and export are understood in simple terms. Import of goods means bringing goods to India from a place outside India while export means taking goods from India to a place outside India. Further, import of goods as per the IGST Law will be treated as an inter-state supply and IGST will be levied on it. Export of goods will be considered as a zero-rated supply and no tax will be levied on it. 2. What is the applicability of e-way bill on import and export transactions? A- Goods are said to have been imported into India when they reach the port/ airport. B- on reaching the port/ airport, the goods are under the custody of the customs department and are further transported to an Inland Container Depot (ICD) or a Container Freight Station (CFS) for clearance. This transportation i.e. transportation as per B above is exempted from the requirement of generating an e-way bill under rule 138. D- the goods can also be kept in a bonded warehouse until it is cleared for home consumption. The transportation of goods as per ‘D’ i.e. from ICD to the bonded warehouse is exempt from the requirement of carrying an e-way bill. But when the goods are cleared from the bonded warehouse at a future date to the factory of the importer, an e-way bill must be generated. A- when goods are being transported from the place of business or warehouse of the exporter to an ICD/ CFS an e-way bill has to be generated. B- transportation of goods from ICD/CFS to port is exempted from the requirement of carrying an e-way bill. Movement of Goods between customs ports/station or between ICD/CFS and ports either under customs bond or under customs supervision or seal. A case of movement between customs area to ICD or vice versa as given under stage B in the below illustrations of Import and Export. 4. How to generate e-way bill for imports and exports? One of the key aspects of an e-way bill is to calculate the validity of an e-way bill based on the distance to be travelled. So when we have cases of import and export, we need to know from what point we need to start calculating the distance in order to know the validity. a. In case of import, the e-way bill has to be generated once the goods are cleared for home consumption. The distance has to be calculated from the ICD to the place of business of the importer and validity of the e-way bill determined accordingly. b. 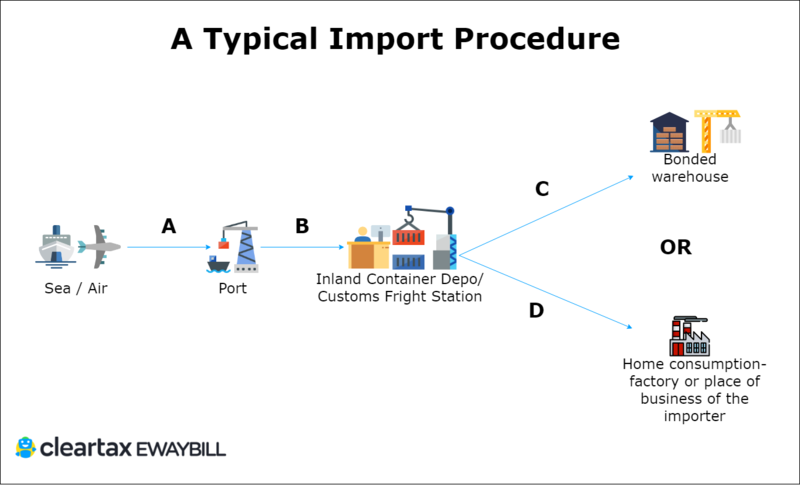 In case of export, the e-way bill has to be generated when the goods are being moved to the port for exportation. For e-way bill validity purpose, the distance will be calculated from the warehouse/ place of business to the port. 5. Is e-way bill required for high sea sales? What happens when there is a high sea sale? Since the sale is not covered in any of the above illustrations and it takes place outside the boundaries of India, there is no need to generate an eway bill. Therefore, we can conclude that the government is making efforts to reduce the compliance burden for businessmen involved in foreign trade. If the importers and exporters ensure the other documents like shipping bill and bill of entry are in place and the e-way bill is valid, the process is surely going to be less cumbersome.